Roller coasters and other amusement rides truly are marvels of modern engineering. Reaching heights up to 450 feet, attaining speeds close to 150 miles per hour, inverting up to 14 times, and stretching out beyond 8,000 feet in length, these behemoth contraptions offer once-unfathomable thrills to their many patrons. However, the amusement provided by these rides should not come with danger. Luckily, standards assure the safety of amusement rides. In fact, you are more likely to be struck by lightning than being injured on an amusement ride. The safety of roller coasters is due, in part, to the hard work carried out by the ASTM Committee F24 on Amusement Rides and Devices. At the center of this committee’s efforts is ASTM F2291-18: Standard Practice for Design of Amusement Rides and Devices. This standard establishes criteria for the design of amusement rides and devices, and it details information for any major alterations to these rides. 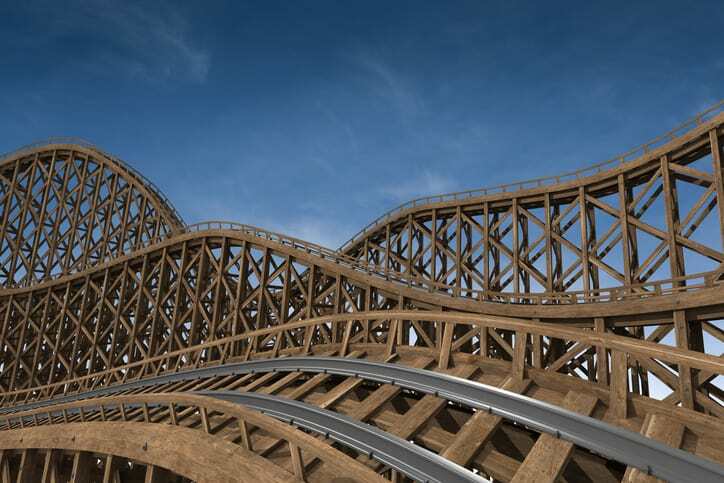 ASTM F2291-18 addresses patron restraint, clearance envelope, containment design, acceleration limits, and numerous other issues to provide designers, engineers, manufacturers, owners, and operators with criteria and references for amusement ride design and modification. The ASTM F24 Committee is comprised of consumer advocates, government officials, amusement park operators, ride manufacturers, and industry suppliers, so the information and criteria outlined in their standards has been captured from a vast range of experience and expertise. Furthermore, while ASTM F2291-18 and similar documents are international voluntary consensus standards, their guidelines are often adopted by governmental jurisdictions. In fact, currently 44 US states regulate amusement parks. The six without oversight—Alabama, Mississippi, Montana, Nevada, Wyoming, and Utah contain few amusement parks. ASTM F1193-18: Standard Practice for Quality, Manufacture, and Construction of Amusement Rides and Devices, which establishes the minimum guidelines for a quality assurance program and the manufacturing of amusement park rides and devices. By assisting the manufacturer or component in producing a written quality assurance program in conjunction with the design, manufacture, construction, modification, or reconditioning of an amusement ride, this standard helps convey to the user the reliability of the machine or device. ASTM F770-18: Standard Practice for Ownership, Operation, Maintenance, and Inspection of Amusement Rides and Devices, which, unlike the two previously mentioned standards, is intended primarily for the owner. Specifically, it details guidelines for operations, maintenance, and inspection procedures for amusement rides and devices that the owner is to perform. ASTM F747-15: Standard Terminology Relating to Amusement Rides and Devices, which supports all ASTM F24 amusement ride standards by serving as a repository of relevant terms. 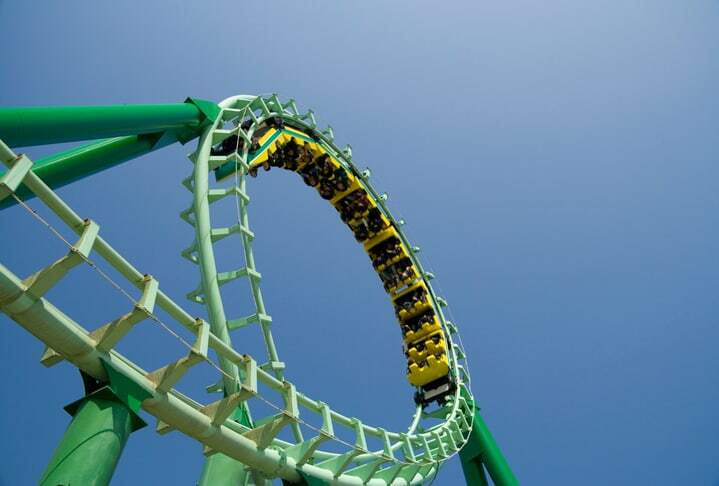 ASTM F2137-16: Standard Practice for Measuring the Dynamic Characteristics of Amusement Rides and Devices, which covers the acquisition of data related to the dynamic characteristics of amusement rides and devices. Such information is certainly important to possess, not only for bragging rights on having the fastest ride, but more importantly for comprehending numerous features of the ride for the safety of its patrons. Therefore, this practice is intended for use whenever the dynamic characteristics of an amusement ride or device are to be determined, but its existence does not indicate that any specific testing is a requirement. ASTM F2137-16’s provisions provide instrumentation specifications, data acquisition and testing procedures, and documentation guidelines. It also defines the guidelines of a Standardized Amusement Ride Characterization Test (SARC) for use in characterizing the dynamic motion of an amusement ride or device. ASTM F2974-18: Standard Guide for Auditing Amusement Rides and Devices, which deals with the auditing of amusement rides and devices. Auditing is crucial for numerous industries, as it allows for the objective assessment of a procedure or system, and, in the case of amusement rides, auditing can demonstrate conformity with the various ASTM F24 standards. In meeting this need, this standard guide establishes guidelines for audits—including inspections, evaluations, or examinations during the design, manufacturing, installation, commissioning, operation, or major modification of an amusement ride or device—and auditors.